So apparently there's not a Tales of Phantasia category. Or am I just blind? Anyway, made this from a scan I got on here (forget where). The Tales of Phantasia OVA has great artwork, so I was compelled to do something with it. 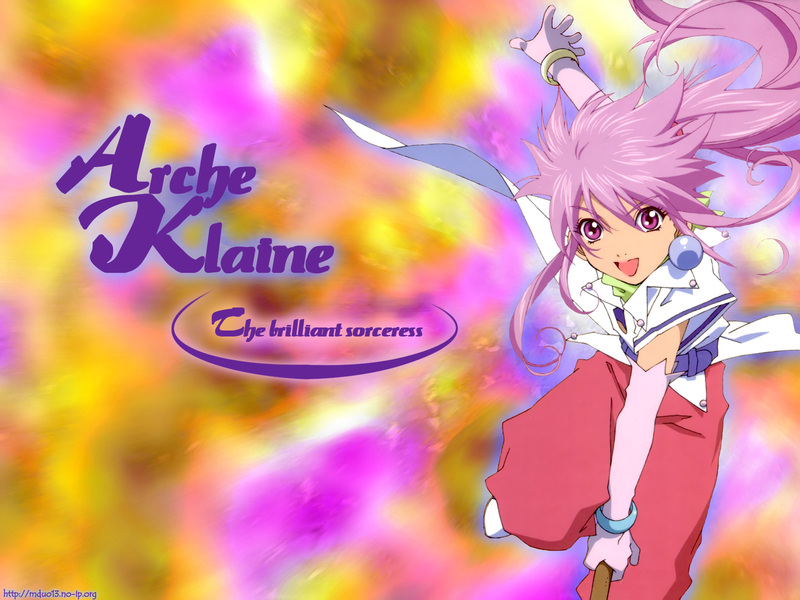 Gotta love Arche in this series. Background is a couple of hours of photoshop twiddling. Hmm, I've made a lot of wallpapers but never submitted any here before. Makes me wonder what the reaction will be. If it's good, I guess I could post some of the other old walls from my site. I guess I should read the submission guidelines or whatever, wherever they are. I love Arche, she's my favorite from Tales of Phantasia.